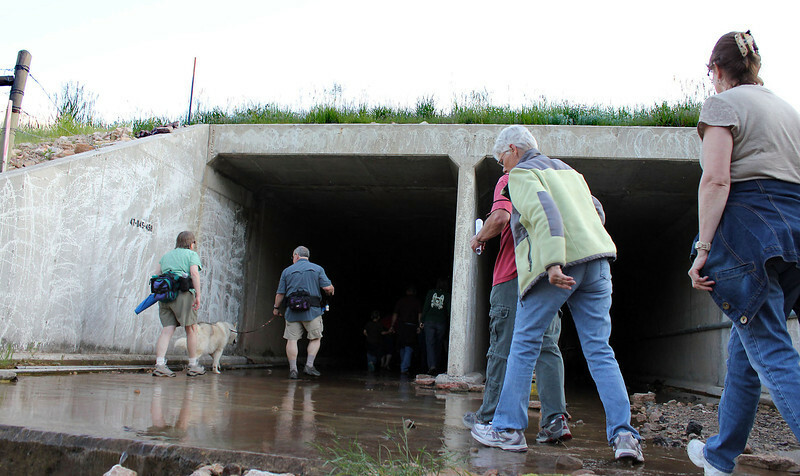 To reach the forest ecotone, hikers had to navigate a shallow pool of water under the Interstate 90 bridge at Exit 34 and continue their trek westward. Note the pooch at left, leading his master through the shoal waters. Even in the brilliant late afternoon sunshine, this was a good place to break out a flashlight -- and lose the sunglasses!